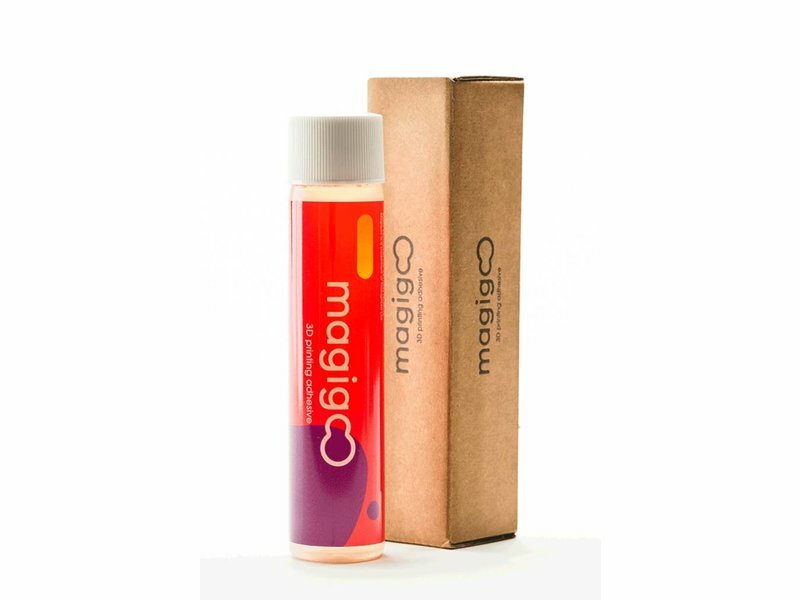 All you need for sure adhesion of 3D prints Magigoo is an easy to use 3D printing adhesive designed to address 'the first layer not sticking problem'. Now in a 120 ML bottle. MAGIGOO. 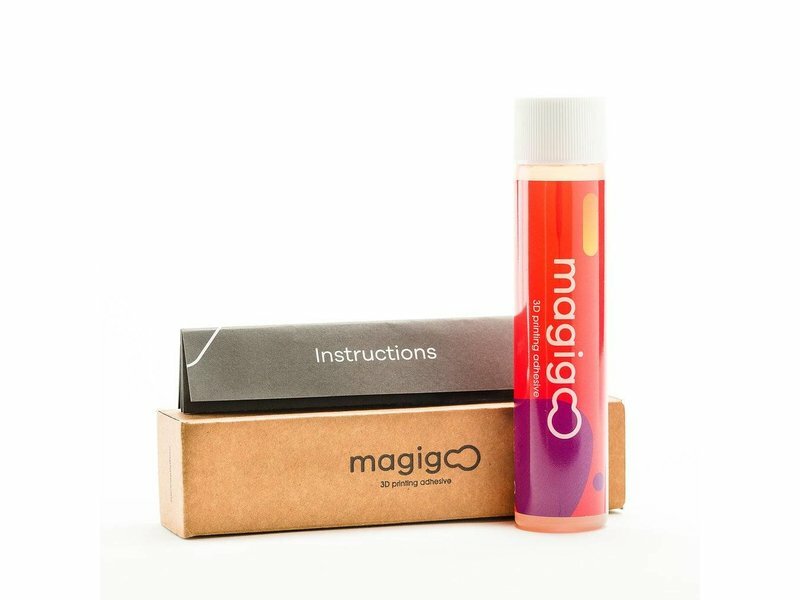 We ensure that MAGIGOO is safe for both its users and the environment by using materials that are environmentally friendly. MAGIGOO is easily cleaned with water – the most universal and easily attainable of solvents! After each print the build plate should be cleaned using a damp cloth. 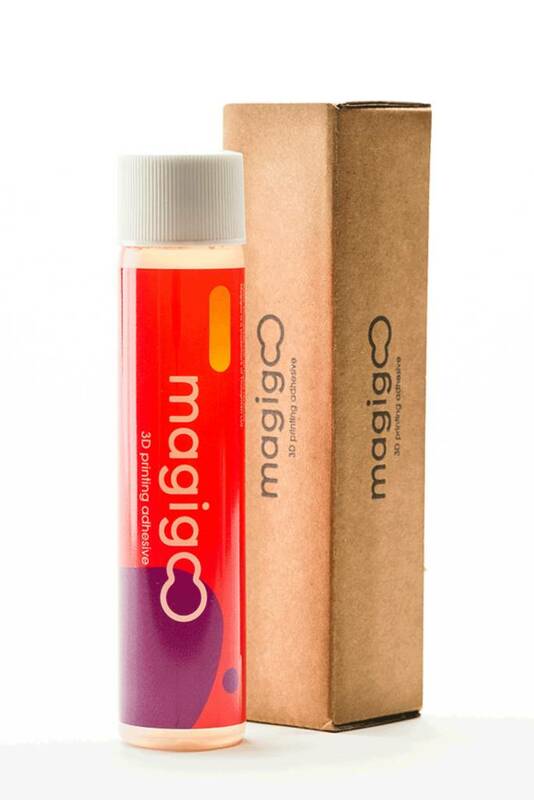 This will remove excess build-up of MAGIGOO. 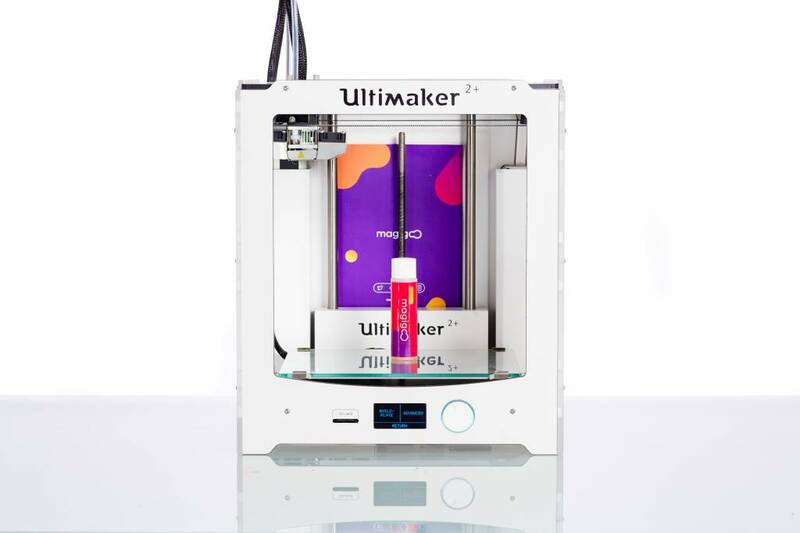 MAGIGOO’s adhesive properties are designed to release the 3D print once the build plate has cooled down. 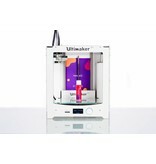 You will hear a distinctive ‘crackling’ sound for both ABS and PLA during the cooling process. Once cooled, 3D prints can easily be removed without the use of tools and excessive force. MAGIGOO helps combat 3D print warping – a recurring problem in 3D printing. It is extremely rewarding to have a 30 hour print complete without any warping and having it release easily once cooled.